Elegant Black body color of the saree matches perfectly with the broad interwoven Zari Golden work. Natural weaving pattern adds radiance to the saree body colour. 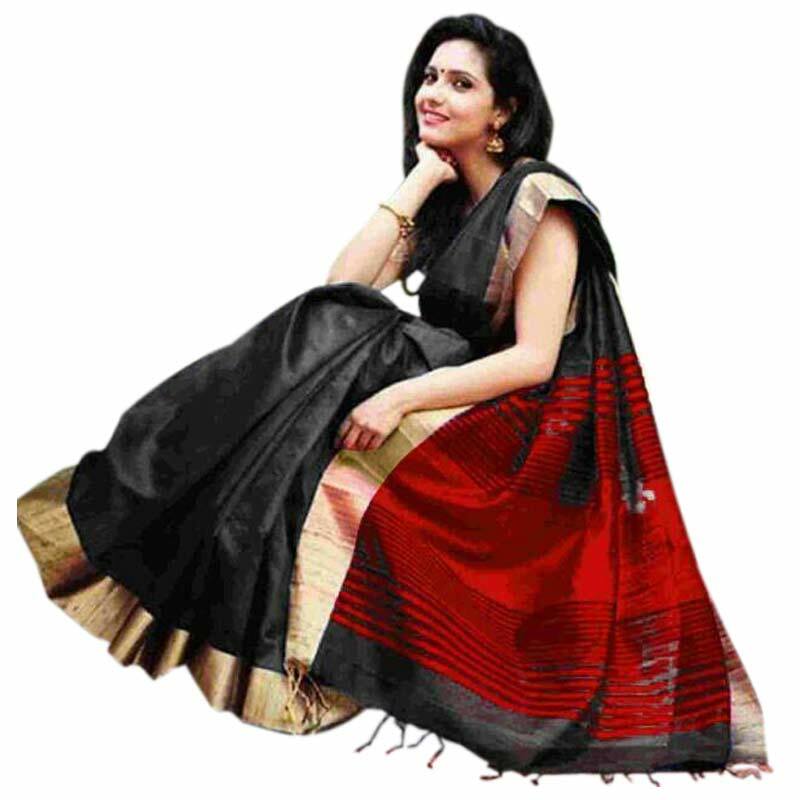 Red coloured pallu has classic shades of Black strips in Red bands with perfectly contrasting broad Zari Golden strips, along with golden tassels at the end. Since natural vegetable colors are used, its best to dry clean this saree initially. Thereafter use a mild detergent. The saree should never be dried under direct sunlight. Graceful ethnic jewellery matches perfectly with this traditional and yet contemporary saree. The natural Cotton and Silk fabric and pure vegetable colors add a unique luster to this traditional saree. This elegant Black colored saree has beautiful matching Golden border with designer pallu. Ideal for casual and semi formal occasions in your life.